Here is a list of all the postings Mark Kettle 1 has made in our forums. Click on a thread name to jump to the thread. Back to the Canberra, I've just got back from the April 6th / 7th 2019 PSSA 'fly for fun' meeting held at the Great Orme, North Wales in the UK. Their were two of these Canberra's at the event, they are fantastic flyers and look so good in the sky. Time - 23.30, just got back, what a great weekend, good weather, good friends, good models and some great flying, superb. If the PSSA brewed lager, it would probably be the best lager "in the world". .............you stolen my line Chris, for Peter, ' yeh remember the transmitter Pete '. In this video Captain Joe explains a few 'rules of thumb' on how to descend a modern airliner. The planning and initiating the descent at the right moment. Modern airliners are equipped with all sorts of helpful tools showing when to start the descent but the systems still can´t anticipate the mood of the air traffic controllers, which can sometimes interfere with the descent. This is my favourite video of the 'Petrincic' brothers that they have filmed. 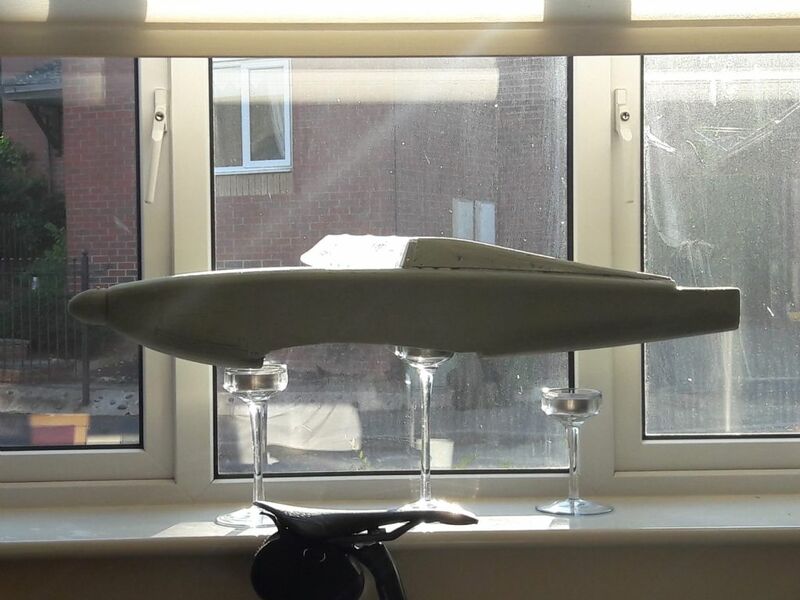 OS FP15 engine powered model, a tribute flight of a passing friend. -D- Wing, Where big science and aeromodelling meet. The D wing with proverse jaw controls on the wing tips ! Al is resurrecting Lidwig Prandtl 1920 then his 1933 paper on stuff like 'ribbon vortex', ' minimum induced drag for a given span' and ' elliptical span load'. Also to add interest in this, did you know before the Spitfire left the drawing board R J Mitchell and the Supermarine designer Joseph Smith had a evening dinner with Prof Lidwig Prandtl at his house, what info was shared I save for any article that may be written. I think a article on these things I've mentioned would be very interesting. For a taster watch these video's. 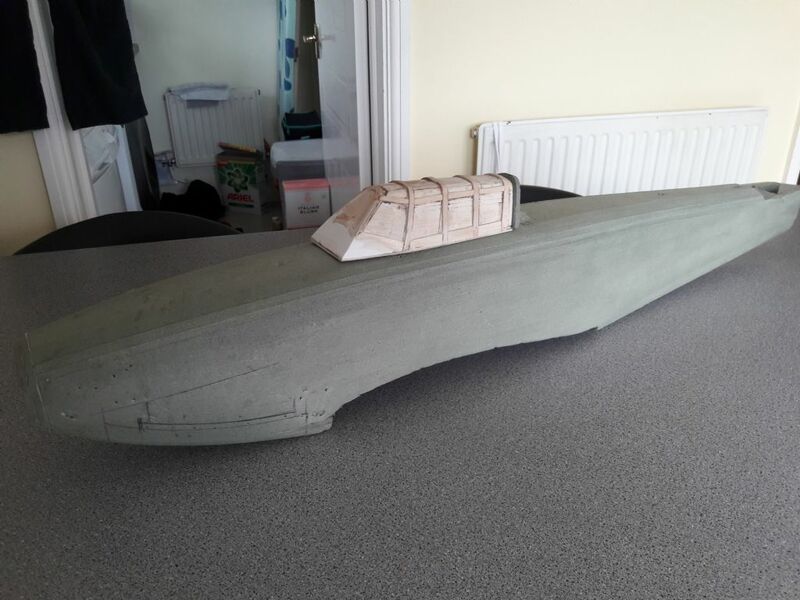 Morning Onetenor, the main material I may use will be a depron white foam, supported on the inside by 1.5mm ply in the fuselage and a couple of carbon rods in the wing. lightly loaded and great looking glider. An estimated drawing I've done. The model pilot is Bob Blackmore. A nice display put in by the Jet Provost. 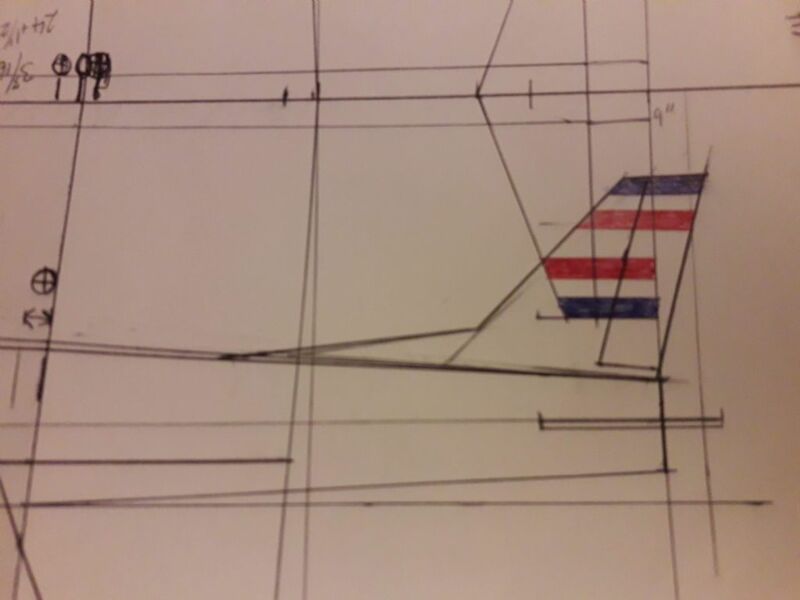 Hi Wayne, I believe its 50 mm / 2" in front of the LE of the main wing where it come out of the fuselage , also it needs a up reflex setting on the main wing ailerons of about 0.12" / 3mm and the front elevators need to be set at 4mm down elevator - ( which is like up trim on this model ) . Here's a link to some features and some flying pictures. It was featured in the magazine in December 2013. The video mentions the scale as 1:5, however the scale of 1:7 stated in the magazine preview. This one is not a clone its from DW Hobby - the mini eagle powered glider. Keep watching the video from time 7:35 onwards because you'll see and hear wonderful set of shots and piece of music and video put together from the 'RC Model Geeks' of Hayling Island UK. Very enjoyable and relaxing to watch. The Build of the above model. I've made a mould for a Hurricane canopy. First I made the outside canopy box with 3mm balsa using the fuselage as reference, then filled it with plaster. Once dry I sanded it to shape, the canopy frame work is with 1.5mm ply from paper patterns layed over the mould. Can you see the adjustment I had to make on the front of the mould to improve the canopy and fit to fuselage? This was filled with plaster and sanded back. I glued a base of ply on the bottom of the mould to firm and support the mould edges. 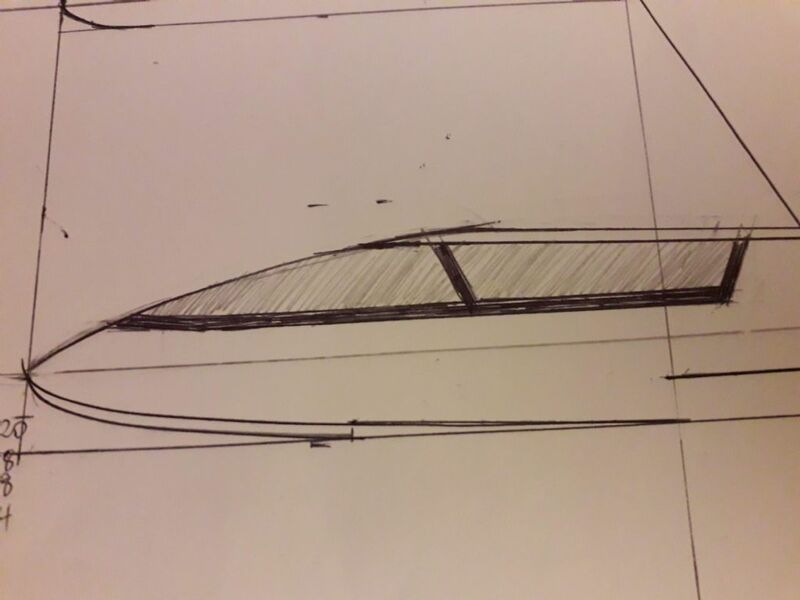 Vitrex foam board used for model aeroplane fuselage, "a la" David Mellor intro / fame. Here you go Pete. I like the backdrop behind you Pete, it makes it look like your on stage at Vegas !!! Like a child would say only 30 sleeps. 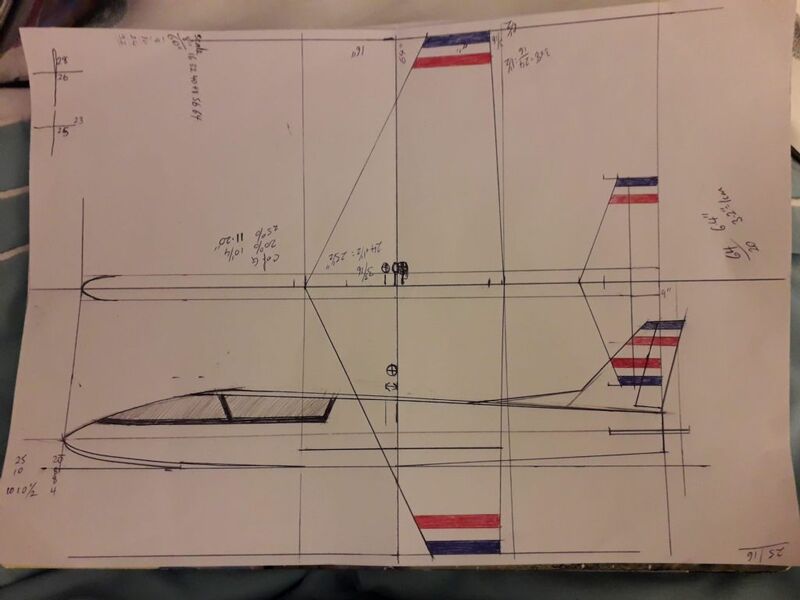 Show us your Scale glider, - all I can do is show everyone is a video of a similar gift coming to myself prior to Christmas this year, as some would say "a early Christmas present", in fact I think a lot of subscribers and magazine purchasers will get the plan before the end of the year, that's all I'm saying. It's a : Goppingen GOl 1/7th scale 2000mm span 38 oz AUW using HG35 / 12 wing section with no washout.